Severe design flaws in modern CPUs were recently discovered and made public. 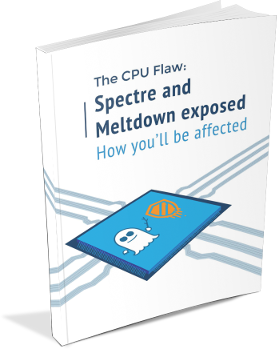 These flaws put users and businesses alike at risk of attacks known as Spectre and Meltdown, where private data can be called up and stolen. Chip manufacturers including Intel and ARM have responded by working with software developers to correct the flaws, however these fixes are affecting computer performance. Discover exactly how this vulnerability works, how you’ll be impacted, and what you can do to protect your systems. The impact to your business. Click here to subscribe to our monthly newsletter and access your copy of this book. If you are already a subscriber and would like a copy please email david@dpcomputing.com.au.